A very popular roadside snack in Maharashtra. I have had it in mumbai and pune i think those were the best. I had never tried this Whenever i get pav (dinner rolls ) from the market i will pav bhaji or vada pav. Never thought to make this. Last week i got fresh pomegranates so i decided to give it a try for this time . I followed a recipe which i had jotted down in my precious cooking book and added a bit of my own twist to it. Came out well for the first time. I was myself impressed that it was so tasty and my husband liked it too. So i thought of posting it in the blog. 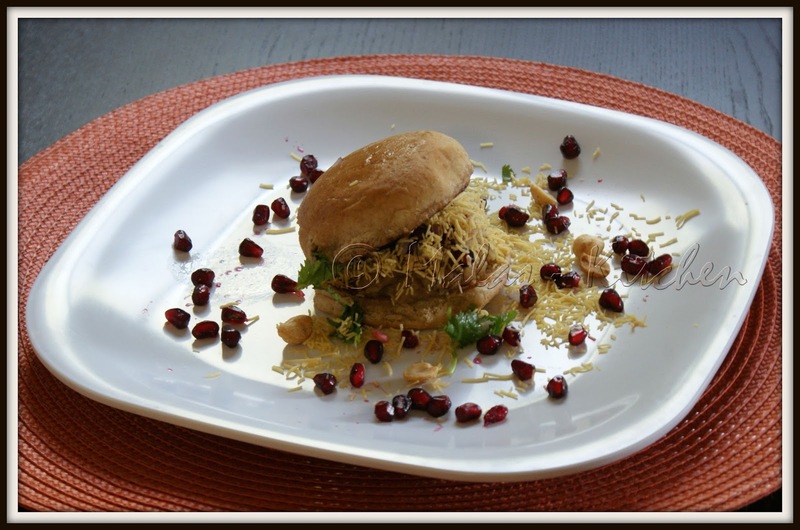 this dabeli dish is new to me but looks tempting and delicious. I love this dabeli masala.., sweet, spicy & tangy! Mouthwatering pics...Another one of the delicious street foods. Yes I get the same in Rajasthan also vanamala. 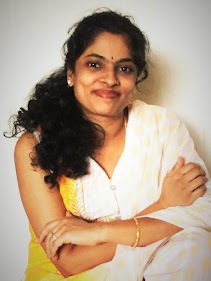 Good clicks and nice presentation. I absolutely love street foods, this makes me drool..
Hey Mala, Dabeli looks yum. Your blog design also looks so nice.